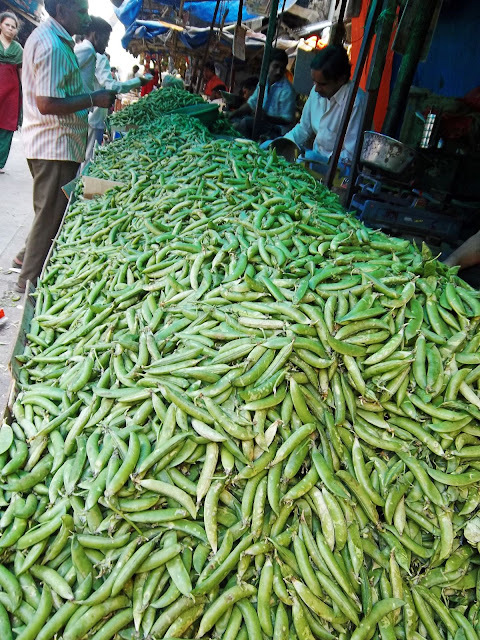 These are pictures of a vegetable market in India. 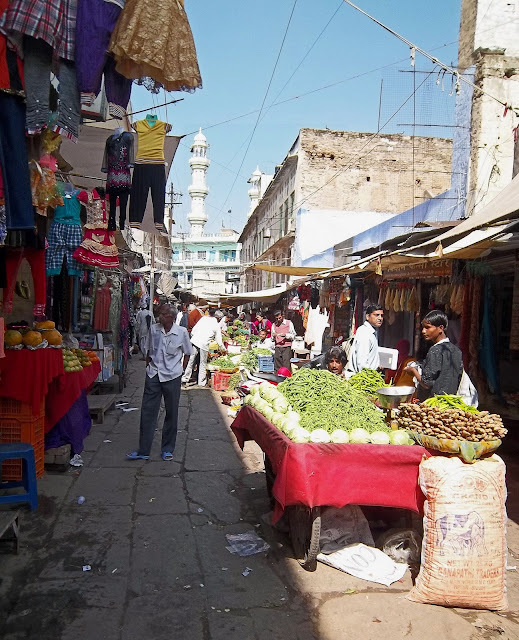 A vegetable market like this is usually at the outskirts of a shopping area or near a railway station or just on a busy street. The scenes are typical of any Indian vegetable market. 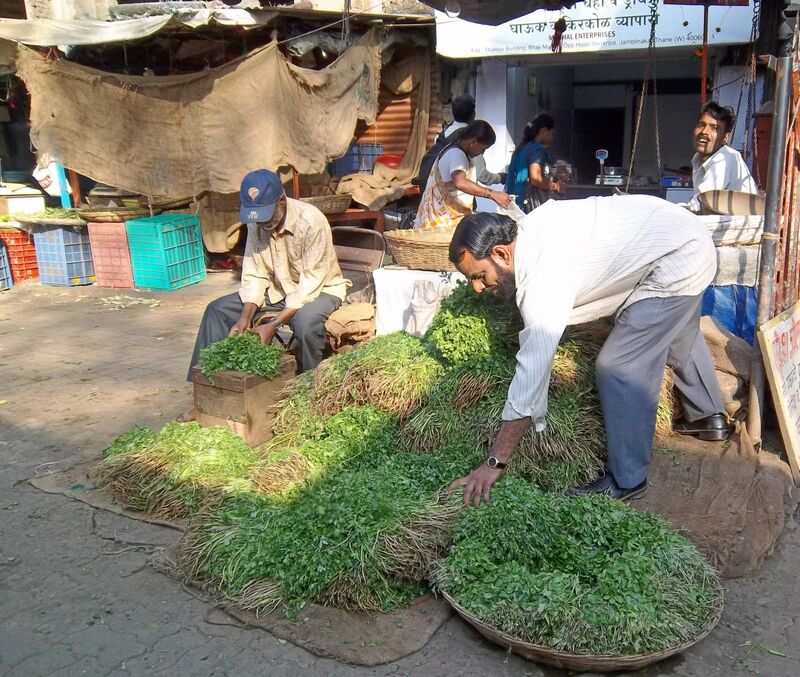 Here is a vegetable vendor sorting out his wares, leafy green coriander. In the background some shops can be seen. This is inside the vegetable market. Peas are in season and the market is flooded with them. Customers are buying peas from the vendors in the market. This photograph shows vegetables displayed for sale. The photograph below is of a street vegetable market. Saleswomen are sitting on the road with their vegetable wares spread out. Flowers are also being sold here. 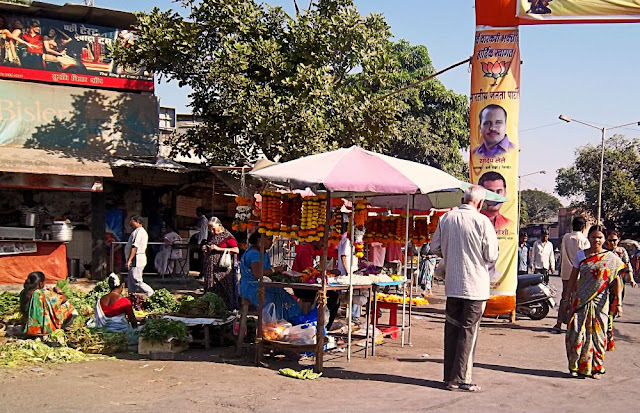 The pavement of this road is completely block with the fruit and vegetable "market."